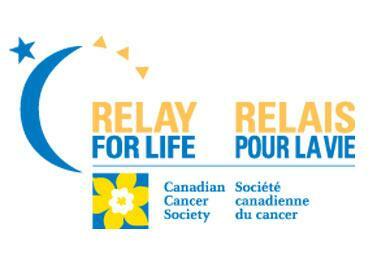 I am participating in my local Relay for Life event on June 1, 2012. That is a wonderful question that takes me back to October 1999, when my health was not good and I just knew something was wrong with me. You know what you just know something is not right but you are not sure what it is. I had that gut feeling but at the same time I was scared to find out because my gut told me it wasn't going to be good. So I went until July 23, 2000. At that point I could no longer deny I was sick .. I had cut our summer vacation short because my health was so bad I just wanted to get home and lay down. I didn't want to alarm my husband so I told her I had to go to the hospital, so I drove to the hospital. I went to the hospital because I had been hemorrhaging for months. Yes I said it months. I arrived at the triage desk and the nurse on duty told me to sit in a chair where she could see me because they had no beds free at the time. I guess my colour was not to good at this point. I don't remember anything else accept waking up in a bed in a treatment room. Before I left the hospital I was given something for the pain and an ultrasound was set up for July 26, 2000. The pain killers made me sicker if you can believe that and by the time I went for my ultrasound I could barely walk. Once my ultrasound was finished the technician went and got the doctor ... calls were made and I was told not to leave the hospital until I was seen by a doctor. Picture this I am alone at the hospital because my husband had to work and my kids were all at school that day. I guess being alone was a good thing but when I was told to not leave the hospital until the doctor was free to see me. Well that is not a feel good feeling no matter how you look at it. The doctor came in... asked me to sit down and more testing needed to be done but by all accounts my blood testing came back as well as other tests from the days prior and I was diagnosed with the "C" word. I was supposed to be celebrating my husbands 35th birthday not trying to figure out how I was going to tell him I had cancer. I was only 32 years old and it was then and there that I realized that cancer does not discriminate with age. It doesn't matter if you are young or old, cancer does care. I had three beautiful children at the time all fairly young and I just knew that no matter my diagnosis I had to fight. I had to fight for my children. I went to pick up my husband at work after receiving the diagnosis with balloons in hand to wish him a happy birthday. We went on to celebrate his birthday and I did not mention my appointment accept the little white lie I told him about having to wait for results. After we put the kids to bed as I was cleaning up the kitchen from his birthday celebration I started crying and told him the truth. He held me and told me it was going to be okay and we would get through this together. If I remember correctly I think we waited almost a month before we told either of our parents as we needed time to absorb it ourselves so we could strong when we told them. I wanted to tell my parents in person but one night while on the phone with my mom I just said mom is dad home and she replied yes... it was then that I said to her I have something to tell you and I wish I could just drive quickly into London to tell you both but I need to tell you now. I told my mom that have cancer and that I will be having surgery on September 1, 2000. She tried to hold back the tears and be strong for me but I could hear them and my heart was breaking. To hear her pain in her voice at the unknown journey I was about to embark on. Even writing this today it is a though I am reliving those moments again. Throughout the next month I was so sick... sicker than I have been in my life... the pain was intolerable. They tried many different medications for pain and all of them made me sick. I could only take Tylenol no.3 for the pain and it wasn't even touching it. In the privacy of my bathroom while taking warm baths to help with the pain I can't even tell you how many times I begged for my life to be over. Not because I want to die but because the pain was that intense and never ceasing. On September 1, 2000, I went into the hospital for my first surgery to remove the cancer that had taken over my body. I had cancer in my uterus, cervix and ovaries. My recovery was long and I was blessed with a wonderful man who stood by my side, children who did everything they could help, a father who let his house become a bit chaotic as my mother gave of herself to help my family function as normally as possible throughout it all. It is now... 11 years 7 months later that I am here to tell you that I am cancer free and continue to be. That is why I am involved with Relay for Life. 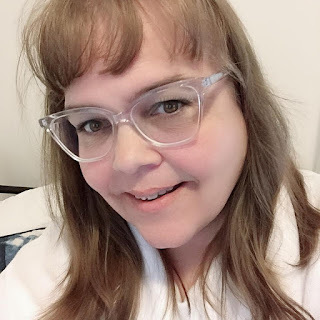 I am asking for your support... as I participate in Relay for Life, I have a goal of $300 I want to raise and it would be great if you could help support a worthy cause. Note: Some of the extreme details of my situation have been left out because I am not able to write about it all without getting emotional making it hard to see the screen as I type.